Josh and Molly are married! 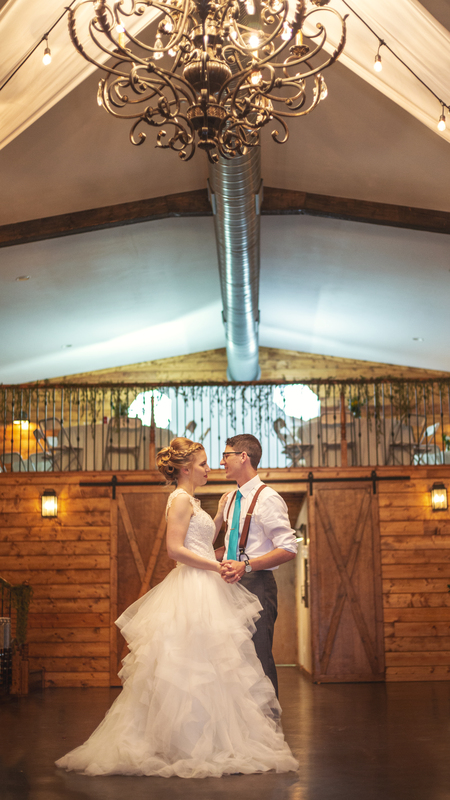 The two tied the knot April 21 at the Red Barn Events in Aubrey, Texas. The day was filled with joy and laughter from the time the bride put on her make up until the grand exit. Their rustic wedding theme consist of Malibu blue, sunflowers and burlap. The couple exchanged letters to one another. I’m not sure what all was said in the letters, but one could tell both messages were filled with nothing, but love and sweet sayings for one another. Molly did a precious first look with her bridesmaids and her father before walking down the aisle to Josh. In my personal opinion, the officiant gave out the best quote of the day from Molly and Josh’s ceremony; “I was beginning to think this unicorn of a woman didn’t exist until Molly came along”. To add to the cuteness of it all, the couple bought custom cake wedding toppers of themselves. The night didn’t end as planned with the sparkler exit because of the wind and drizzle. Despite the weather, the bride and groom still had family and friends lined up around them cheering and holding their own lights from their phones. Thank you for choosing Skys the Limit to capture your wedding through both video and photography! It was such an honor being a part of your big day and I can’t wait to see where life takes you two. Congratulations and I wish your marriage nothing, but years of happiness together! The Bride and her sunflower bouquet.